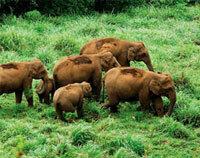 Thekkady, in the Idukki district of Kerala paints in front of us the images of elephants,wildlife sanctuary,trails of mountains and spice plantations. 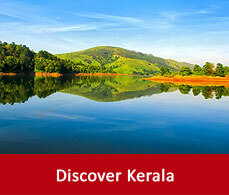 Thekkady is a picturesque hill town holding great opportunities for trekking and mountain walk. If someone is planning for a trip in some hill town along with adventurous sports then Thekkady is a hit to match your expectations. A Thekkady photo without a wildlife is just what can’t be imagined. The great Periyar wildlife sanctuary of Thekkady is what everyone plan out before going there.It is the most prime part of Thekkady sightseeing. Adjacent to the spice plantations, lies the big and fat jungle of Periyar and to go with the flow more prominently thrives there the big,fat gigantic creature - the elephants. They come in herds to play in the lake.You may get a chance to watch them taking a shower in the lake while you are canoeing there to watch the wildlife from a boat. Tourists sometimes prefer an elephant ride as well to watch the wildlife also. Spreaded across an area of 777sq.km., most of which is thick dense forest, Thekkady has been declared as a tiger reserve as well in 1978. 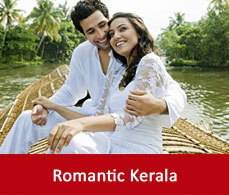 The beauty of Kerala looks more pronounced because of its backwater. So, Thekkady being in the womb of Kerala cannot be an exception. The stream that makes Thekkady most noted among all is the Periyar river. This Periyar river acting like a babysitter for the spice plantations nurtures and nourishes the vast tea,coffee and pepper plantations. 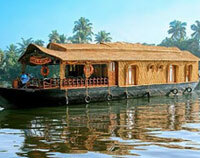 Periyar flowing through the middle of the town is the pride of Thekkady and blooms Thekkady tourism more profoundly. Kumili, the plantation town aromatizes Thekkady from the outskirts of the Periyar sanctuary. It is an important shopping centre and a spice trade town. 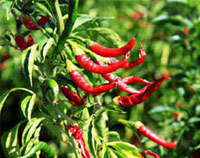 You can buy spices from here and can expertise your culinary activities more. Small and medium range accommodations are also available here.Murikkady another breeder of spice plantation is also in Thekkady which grows cardamom,pepper and coffee. Walk through the cardamom plateau and get lost in the aroma of elaichi or cardamom as it is known to the Indians. 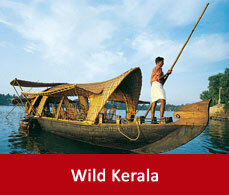 Grab hold of some of the best Thekkady tour and experience these activities. Wondering to read this temple tour? Yes, Thekkady cannot be an exception like many places in India to have a temple. Mangala Devi Temple is an ancient piece of Keralian architecture which is nestled in the dense forest. 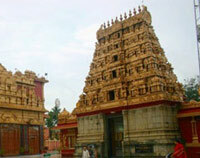 But it is a restricted one as visitors can visit there only on Chithra Pournami festive day. So, to have a tour of here plan your vacations likely on a Chithra Pournami day. Get the permission of the wildlife warden and visit this Thekkady tourist attractions and have a glimpse of the eastern slopes of the Western ghats and some villages of Tamil Nadu.